Seafood enthusiasts on both sides of the Pacific are growing concerned over the effects of radiation on food exports coming out of Japan. Radioactive water from the Fukushima Daiichi nuclear plant has been found leaking into the ocean, further increasing the fear of contamination in nearby seafood stocks. When last tested, the waters around the plant were found to be over 7 million times the legal limit. 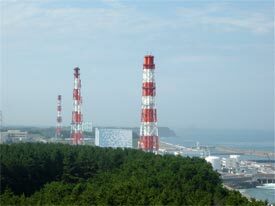 Japanese technicians, though, have found a way to plug the leakage and halt the flow of radioactive materials. Despite the breakthrough, it will take some time before the water gets back to regulated limits. As a result of the nuclear accident, the U.S. Food and Drug Administration (FDA) have intensified its inspection process for all foods coming in from northern Japan, including milk, fruits and vegetables, and fish. So far, seafood studies have come up negative from various testing agencies. ?Our test results showed no fish were contaminated by higher-than-acceptable levels of radioactivity,? said Hiromi Isa, trade office director at Japan?s Fisheries Agency. Isa?s statement is backed up by FDA officials responsible for testing Japanese fish imports, who have yet to find any kind of radiation in tests of their own. None of this is too surprising considering the effect water can have on radioactive material. According to FDA, the sheer amount of water in the Pacific, combined with the fast moving currents, dilute radioactive molecules. As a result, the chances of fish and marine life getting heavily affected is quite low. However, as Time Magazine reports, that doesn't mean that some organisms haven't been found to be contaminated. Anchovies, for example, have recently been found off the eastern Japanese coast with traces of radiation. Fortunately, the amount is so minute that it would not come close to harming other fish, let alone humans, who eat them. Fear of contamination has made a significant dent in the Japanese seafood industry. The problem is that radiation in anchovies and other smaller organisms ? zooplankton and phytoplankton, for example ? will eventually make its way up the food chain. With the leakage now apparently plugged, however, the chances of it getting to unsafe levels for larger fish species is unlikely. To make matters sound even more encouraging for concerned seafood lovers, the National Federation of Fisheries Cooperatives in Japan have already stated they won?t be fishing in any of the affected areas. So don?t count on any of those anchovies making their way to a dinner plate. Despite all these precautions, fear of contamination has made a big hit in the sushi industry. According to the Japanese Fisheries Agency, several exporters have had their seafood orders cancelled by clients. The demand for sushi has shrunk dramatically since the March 11 tsunami, especially higher-end restaurants that only import authentic Japanese fish. ?Until the situation stabilizes in the country, it seems unlikely that guests will feel comfortable consuming Japanese produce,? said Sally De Souza, public relations manager for the Mandarin Oriental hotel group, in an interview with Bloomberg. The fish export business is an important one to the Japanese economy. According to the Ministry of Agriculture, Forest and Fisheries, Japan exported 195 billion yen ($2.4 billion) worth of seafood last year alone.